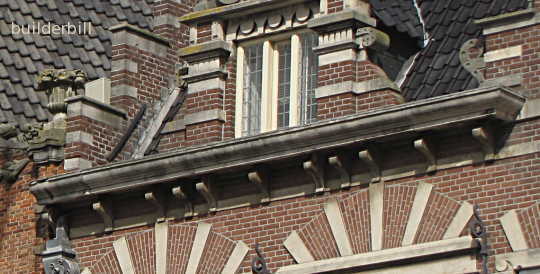 A projecting masonry ledge or string course supported by corbels. A quite wide stone corbel table seen in Amsterdam. Usually when they get as wide as this they are supporting a wider room above but this one is just for decoration.